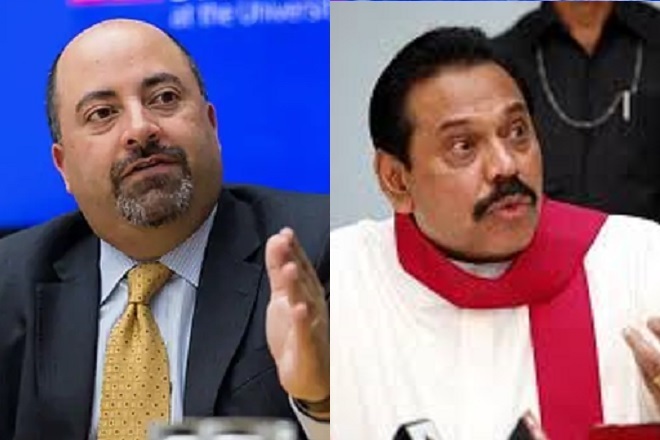 The US Ambassador Met Mahinda Rajapaksha to Inquire About Gotabhaya! US ambassador in Sri Lanka Athul Keshop met MP Mahinda Rajapaksha on Sunday (10) at the former President’s official residence at Wijerama Mawatha, Colombo. The meeting have been reported as a farewell of the ambassador as he finished his official duty in the country. But such are of meetings the leaders of the nation, president. prime minister etc when the service comes to an end. However, according to the political information sources, this meeting was not such an official meeting. The discussion has lasted for an hour and a half, and none of the information of the discussion divulged. According to reliable sources, this surprising and unexpected meeting took place, to inquire about the rumours of the nomination of Gotabhaya Rajpaksha as a presidential candidate by the joint opposition for the upcoming election. Gotabhaya cannot contest the presidential election as a US citizen, and in that case, it is expected his citizenship withdrawal application from USA. The political information states that the US ambassador came for a secret discussion with the leader of the opposition to discuss the matter.